The marketplace sellers also can assign the payment methods to their products. 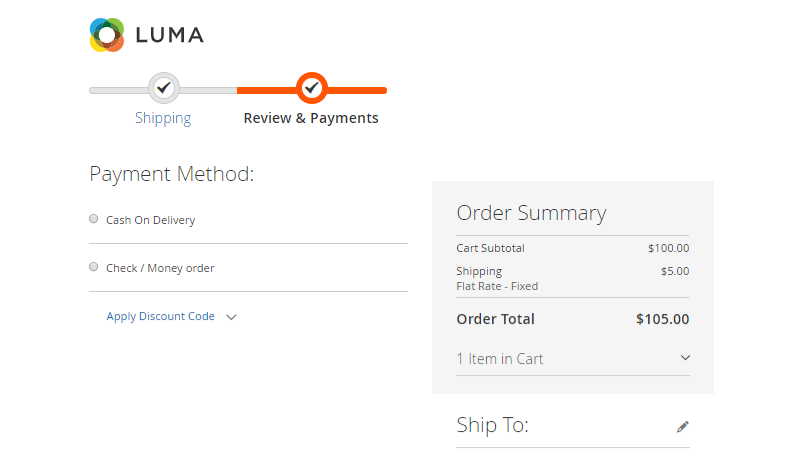 During the checkout process, the customer can view the assigned payment methods to place an order. 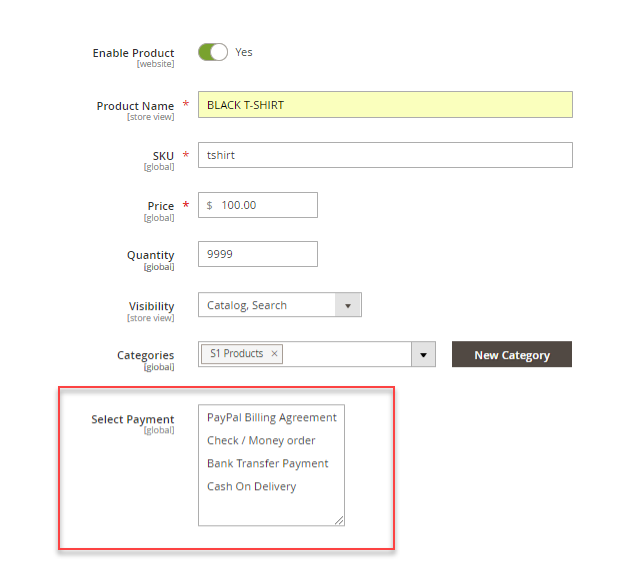 The admin can configure the payment methods for each seller individually. This will let the admin allow limited access to payment methods for each seller. And, the seller can restrict the payment methods to their product only which the admin has assigned them. Sometimes the seller wants to limit the use of certain payment methods per products. Because in e-commerce business all the payment methods cannot be suitable for every product. For example, you want to enable “Cash On Delivery” for the products with the price greater than 10,000. And for rest of the products you want to enable “Bank Transfer” option only. 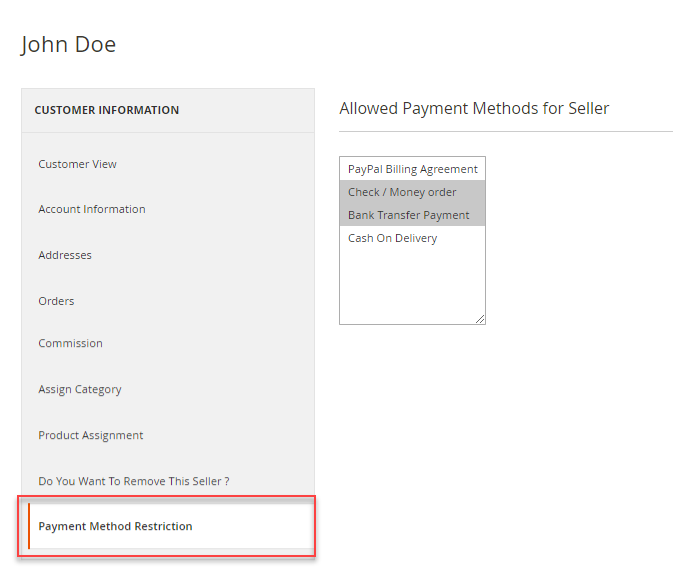 However, Magento 2 Marketplace Payment Method Restriction module, let the seller put the restriction on the product for what payment methods should be available for your customers while placing the order. This module lets the sellers have more advanced control at the checkout. Because the customer can only view and use the restricted payment methods while placing the order.